On August 18, 2011 more than 85 ranchers, agency representatives, and resource managers convened to learn about the multiple services that Marin’s ranches, farms, and parks provide. These include providing agricultural products, supporting wildlife habitat, and safe guarding water quality in Marin’s streams and bays. Participants engaged invited speakers and participated in panel discussions that have resulted in increased attention to these services through private land management and agency programs. All of the conference presentations and information are available at Ecosystem Services defined and in practice. 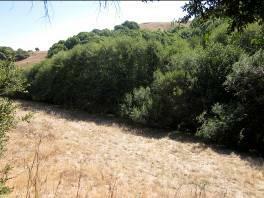 As a member of the Marin Carbon Project, our project team completed investigation of the relationship between restoring trees and shrubs in Marin’s streams to the amount of carbon in stream soils. Because of the water available in stream corridors, these parts of the landscape are “hotpots” for plant growth and soil building. 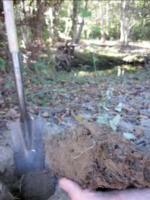 Our results indicate that as restoration projects mature the amount of creek carbon in the soil and the vegetation increases. These results will be used to improve stream restoration projects and potentially to incentivize additional restoration projects through new funding streams. The Marin County Fish & Wildlife Commission recommended that the Board of Supervisors fund 10 projects totaling $19,983 on restoration and education about wildlife and fisheries in Marin County. Including awards to Point Reyes Station Dance Palace Community Center, Friends of Corte Madera Creek Watershed, Students and Teachers Restoring a Watershed, Mill Valley Streamkeepers, Tyee Foundation, Marin Audubon Society, North Bay Trout Unlimited, California Fish and Wildlife, Wildcare, and Point Reyes National Seashore.